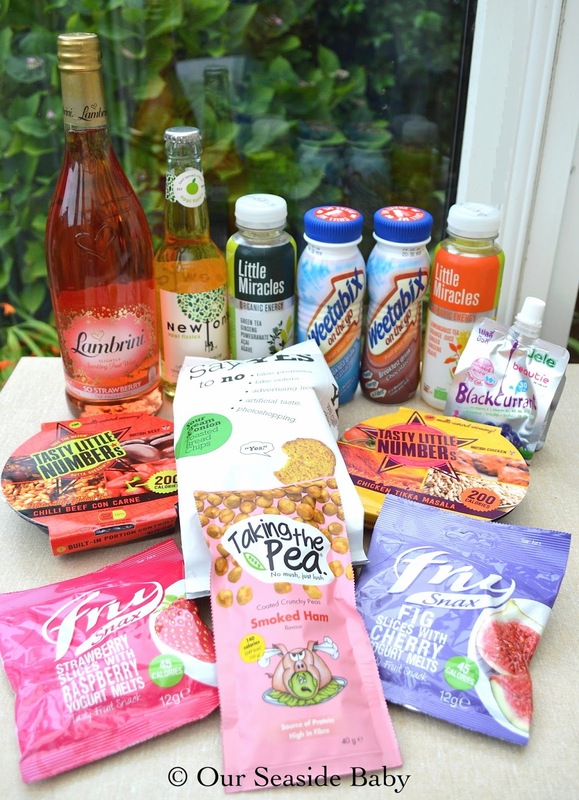 There were a lot of drinks in July’s box and it’s always nice to sample new products. The last time I had Lambrini was many many years ago but it was nice to try this new sparkling fruit wine. It was fruity and refreshing, a bit like lemonade! One of my favourite choices for drinks is apple juice so I was quite excited to see this in the box. This is a mixture of apple juice and sparkling water which is completely natural! There is no added sugar, artificial ingredients or preservatives. It was very tasty, I would definitely buy it in the future. I was a little dubious of the Weetabox on the Go breakfast drinks as I always think it’s better to have a breakfast of food. However, I really enjoyed these and they are very filling! They tasted like a very thick milkshake. I had two flavours, vanilla and chocolate and preferred the latter (because I love chocolate)! I wasn’t expecting too much from the Say Yes to No for some reason but they really surprised me. Yummy sour cream and onion toasted bread chips which are actually more like crisps! These little snacks are suitable for vegans including the smoked ham variety. They were quite nice although I wasn't too sure about the flavour. Perhaps the others would appeal to me more? The Tasty Little Numbers ready meals came in two varieties; chicken tikka masala and chilli beef con carne. I don’t eat meat or have a microwave so these weren’t very good for me unfortunately, however, I did pass onto a friend who said they were very tasty! The Fru Snax packets consisted of strawberry slices with raspberry yogurt melts and fig slices with cherry yogurt melts. Both of these delicious little bags are just 45 calories each. Toddler ate these faster than I could say ‘slow down!' I don’t blame him, they were very tasty. We actually took these on the train up to Cambridge and they are a great snack to eat on the go. They did leave his hands a bit sticky but luckily I had some wet wipes. I would definitely like to try these again! These drinks came in two flavours; green tea, ginseng and pomegranate and the other was a mixture of lemongrass tea, orange juice and ginger. Both of these reminded me of my travels in Asia so I had one whilst eating Japanese food and the other with a Thai dinner! I really liked the different flavours in these drinks and would love to try more. The Beautie blackcurrant drink is packed full of vitamins B & C and is a great energy boosting drink to travel with because of its small size. It’s quite a thick jelly like drink and there is something addictive about its texture, you can taste all the blackcurrant bits in it, delicious! This is also a vegetarian drink so wins all round. Read my April Degustabox Review here. Would you like to try a Degustabox? Thank you to Degustabox for sending me a box to review. All words and opinions are my own.